The sister site to The Olive Tree Genealogy, home of FREE databases! 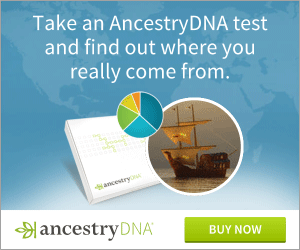 Try a FREE TRIAL to view genealogy results for your ancestors. Save money on pay-to-view subscriptions, take a tour, create a family tree or search for your ancestors. Try any of the free trials below to find your ancestors and start your family tree. No Credit Card is required. Recommended FREE Database of the Month! The purpose of the Canadian Births or Baptism, Deaths and Marriages Exchange is to provide genealogists a free resource for sharing information about genealogy details contained on certificates registered in Canada. Please remember that a certificate can be a certified copy, a photograph, or a Xerox copy. If you find a submission of interest, please contact the submitter directly. When a submitter receives a request for information, he/she can either mail at his/her expense OR ask for a stamped self-addressed envelope. How the information is exchanged between individuals will be agreed upon by the interested genealogists. - View 300 marriages for Simcoe County. These marriages are complete entries with bride and groom's parents' names, occupations and much more! The first file of 130 marriages is a very large file 291 K so be patient while the page loads. - Records from the Observer, a Bible Christian newspaper of the Bowmanville area 1868-1883. Note that the records cover a vast expanse, not just the Bowmanville area.